Let me start off by saying, "WWAAAAHHHHHHH!" 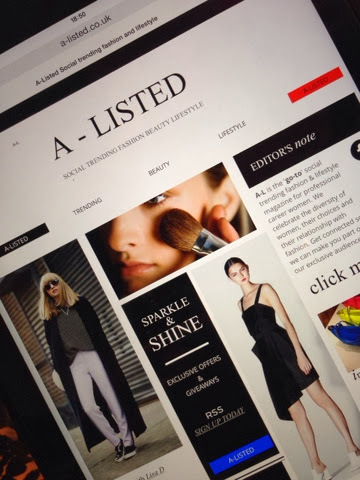 I'm so excited to tell you all that I was asked to write a post for the online fashion, beauty and lifestyle magazine, A-Listed!!! The lovely Editor-In-Chief, Sam Saeed, spotted my blog recently and contacted me to ask if I would like to write a post for them! I couldn't say no to that! I love reading A-Listed in my lunch break at work and lusting over the latest designer fashion finds that I can't afford! My article has now gone live on the site and you can read it by clicking the link below! I'm so grateful to Sam and the team at A-Listed for this opportunity. Thanks again! Thanks Jenn! Still can't believe it!